The drought in California is making the news. I’m sure it will be blamed on “Global Warming. 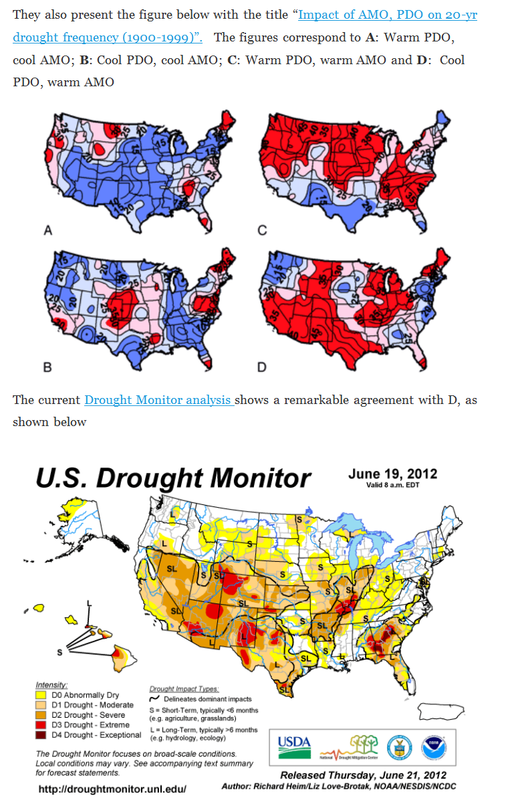 I came across an article by Roger Pielke Sr. from 2012 that reminds us that when the PDO is cool (which it is) and the AMO is warm (which it is) drought in California is going to happen. Negative AMO in January isn’t unusual. The numbers to watch are Jun/Jul/Aug which are lower in 2013 than 2012, but still above 0. I’m not so sure a negative AMO will be a good thing.